Look no further for the best Remington 870 tactical shotgun choices currently in production. It’s difficult to top perfection. And that’s what the Remington 870 is a whisker away from being. 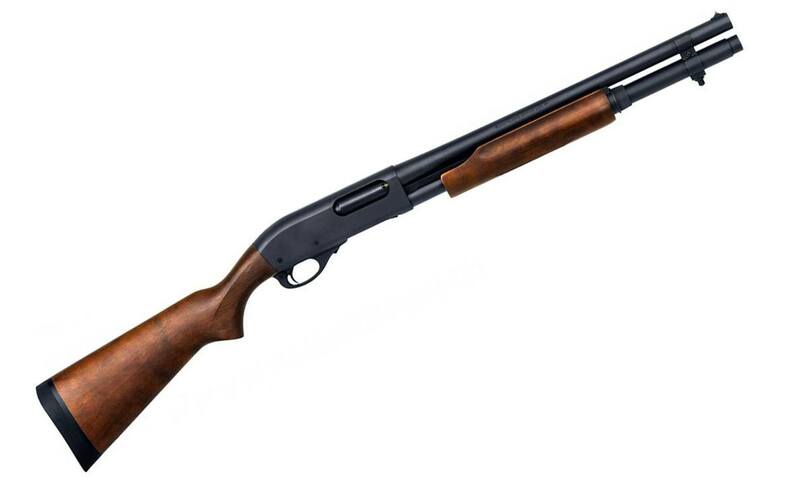 Designed in 1950 and still in full-throttle production, the pump-action 12-gauge has nary a chink in its armor. It’s a twin action-bar monster with a milled-steel receiver heart. It gobbles up whatever it’s fed. It never complains. It competently accomplishes any task demanded, short of Afghanistan-range sniper shots. It just plain dominates. It’s no wonder why more than 11 million have been built in its more than half a century of manufacture. That’s epic, more than any other shotgun (though the Mossberg 500 is hot on its heels). And one gets the feeling the venerable smoothbore is only just beginning to stretch its legs. Carving its niche through near boredom-level performance, the Remington 870 has earned its spot in the pantheon of great American guns from its dependability. Well, sort of. 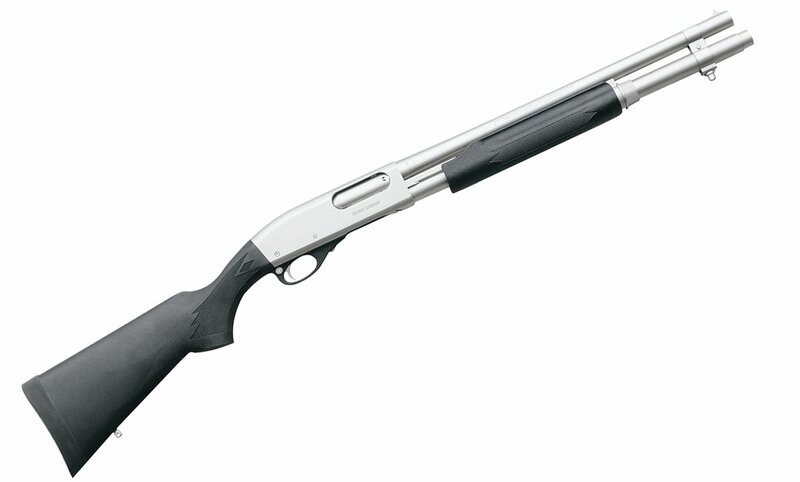 There’s another angle to the shotgun’s success – its versatility. Originally conceived as a field gun, the 870 has far exceeded its original job description of tea kettling quail and mallards awing. The shotgun has eternally shed its skin to become something anew – riot gun, SWAT tool, home-defense howitzer, and military implement. Most recently it’s been hung with the moniker ‘tactical,’ though in the appropriate hands it’s always been that. Nevertheless, the Remington 870 as a tactical tool is perhaps among its most popular guises presently. Maneuverable barrel (generally 18 inches). Certainly, you could tack on some extras such as sling system or enhanced sights, maybe a rail. Handy as those features are, a tactical shotgun they do not make. They’re icing, easily added to a shotgun already tactical in nature. Besides, sticking to the three previously mentioned features opens the field to excellent shotguns that excel in a tactical role, even if they aren’t marketed that way. So, with a loose definition in hand, here are the top four Remington 870 tactical options available today. They hit nearly every price point and cover nearly every application. Most of all, they’re ready to perform the minute you rack the slide. As plain and simple as it gets when it comes to Remington 870 tactical shotguns, the Home Defense is a knock-out bargain. There are cheaper 870s available, but none set up to excel like this one. In particular, its 6-round tubular magazine – two more than standard 870 models – gives you more than enough firepower to handle anything outside a Hunnish siege. Additionally, it’s configured to excel in close-quarters action with a compact 18 ½ barrel and fixed cylinder choke. The gun’s 7.5-pound heft also does its part to make it practical, keeping the 12-gauge’s recoil manageable, especially if you opt for 3-inch shells. When it comes to Remington 870 tactical options, this particular model is what generally comes to mind. Widely utilized by law-enforcement agencies, the Express Tactical comes out of the box with nearly everything you need on a solid defensive shotgun and a bit more. Arguably, the bit more is the extended ported Tactical Rem Choke. The porting is solid, helping to tame some of the 7.5-pound pump-action’s recoil, especially if you run 3-inch shells. But a door breaching configuration is a little over the top. Additionally, it essentially makes the 18.5-inch barrel 20.5 inches. Better to have it and not need it, I suppose. Besides, you can swap the choke out. On the plus side, the shotgun is quick on the aim with a fully-adjustable XS Ghost Ring rear sight and front blade. The system is proven, and once you’re comfortable with it few other iron sights acquire targets as quickly or intuitively. A nod to optics, a length of 1913 Picatinny rail runs atop the 870’s receiver and it is tapped and drilled for scope mounts. Additionally, it comes with sling swivels, which really round out its tactical nature. The synthetic fore-end is well ribbed and gives you a solid grip to cycle the shotgun through the 6+1 capacity in the blink of an eye. Chewing through ammunition like it’s rabid, there is no faster shooting Remington 870 tactical model than the DM Magpul. Unless you’ve been on extended vacation to a gun-hostile country, you already know DM stands for “detachable magazine” – the hot new in shotguns. The new configuration might bend some shotgun purists’ noses out of place. However, the system excels at what it’s meant to do – make reloading the pump-action faster than ever before. At a safe estimate, the gun could chew through its 6+1 capacity (there are also 3-round magazines) twice over in half the time of a tried-and-true tube mag 870. Let’s not split hairs, that’s a lot of firepower. There’s also an element of versatility, given it’s possible to jump to different loads in the blink of an eye. Is it a deal with the devil? Somewhat, given it changes the balance and forces you to choke up on the fore-end or run a chance at hitting the forward-facing magazine release. That’s undesirable not simply from the pinch your hand receives, but also from the off chance of releasing the magazine. As far as the selection of Remington 870 tactical-style shotguns goes, this might be the best looking. There’s something wicked about stainless steel, even if it’s ersatz stainless steel. The Special Purpose Marine is certainly a top choice for boat owners, those in muggy climates and any residence near or on saltwater. However, blue-water naval service isn’t a pre-requisite for owning a Special Purpose Marine. Coated in electroless nickel, the finish has excellent corrosion resistance along with its dashing good looks. In turn, the shotgun should excel anywhere routine maintenance might not end up routine– camper, cabin, truck or trunk.